Someone Bought This: WWE Brushing Kit - WrestleCrap - The Very Worst of Pro Wrestling! It’s the WWE Brushing Kit! 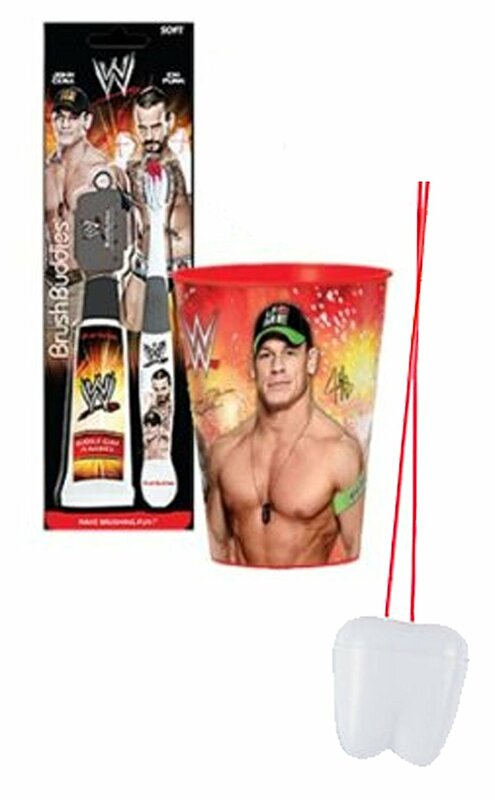 (1) The WWE brushing kit is an awesome combination of convenience and action-packed oral hygiene with a kids toothbrush, bubble gum toothpaste, and brush cap featuring John Cena and CM Punk! (1) WWE 16oz Plastic Mouthwash Rinse Cup! Plus Bonus “Rememer to Brush Your Teeth” visual aid! Plus Bonus “Remember to Brush” Visual Aid Tooth Saver Necklace. Hang it in their bathroom or by their bed so they remember to keep their chompers sparkly fresh. You could also use these tooth charms to save one of your child’s baby teeth. Does come with GIANT TOOTH ON A NECKLACE as illustrated! Someone Bought This: WWE Clock-A-Mania! 4 Responses to "Someone Bought This: WWE Brushing Kit"
I remember the old World Wrestling Fed toothbrushes. It should have been endorsed by The Tooth Commission. 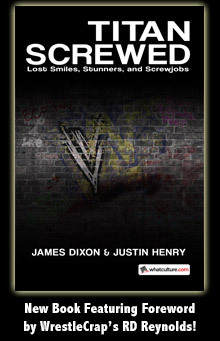 What, no Cody Rhodes grooming kit to look…Dashing! I’m ashamed to admit it, but I’m the someone who bought this. In my defense it was for my son and he loved it, except for the toothpaste. Neither of my kids are picky when it comes to toothpaste, but both said this was nasty.